The lengthy Sunday lunch, once an unhurried ritual bringing family and friends together, seems to have fallen out of favour with practically anyone under the age of sixty five. That is, until the team at Stokehouse, one of our fave riverside dining and drinks locations, decided to bring this former institution back into vogue with their laid-back Autumn Sundays long lunch. The slow Sunday lunch of yore has been given a contemporary makeover, and the results are rather delicious. The particular Sunday we ventured to Stokehouse to experience their long lunch offering the rain was on and off all day in typical autumn style, and the contemporary seasonal fare struck the perfect balance with the intermittent rain and relaxed riverside vibe. With a new Autumn Sundays menu created each week based on the chefs choice of the best seasonal ingredients, we weren't sure what we would be eating, but we knew we'd be in for an absolute autumn treat. And treat us they did. Head Chef Tony Kelly and his team are obviously more than excited to have free reign over a new menu each week. The three courses were relaxed and unpretentious enough to help shake off the usual dining pretentions, while the textures and flavours were playfully and deftly layered; a delicious homage to the season's best produce. The cosy weather was a great match for the slightly heavier menu options¾like a divine new-season lamb rump with spiced eggplant and harrissa¾while the bursts of sunshine occasionally making themselves felt through the cloud cover were the perfect accompaniment to the lighter summer flavours on offer. The lemon and dill battered flathead was a decadent take on our beloved fish and chips, and the delicate scallop risotto with garlic and lemon was bright and fresh without being precious. But it was the Valhrona chocolate mousse, poached pear, and pear sorbet, perched perfectly on a crumbly biscuit base, that really stole our hearts, with its perfect mix of rich and sharp flavours. The staff seemed as excited as the chefs to be serving up this sumptuous offering (and obviously know their stuff when it comes to the picks of the season). But the best part of the relaxed, obliging service was the feeling that we were welcome to stay all day. There was no one pushing us toward the door; just a great atmosphere for catch-ups and leisurely chats with friends (after all, that is what long lunch is all about). And considering the stunning view and the sumptuous wines on offer, we were certainly in no rush to leave when our plates were cleared. 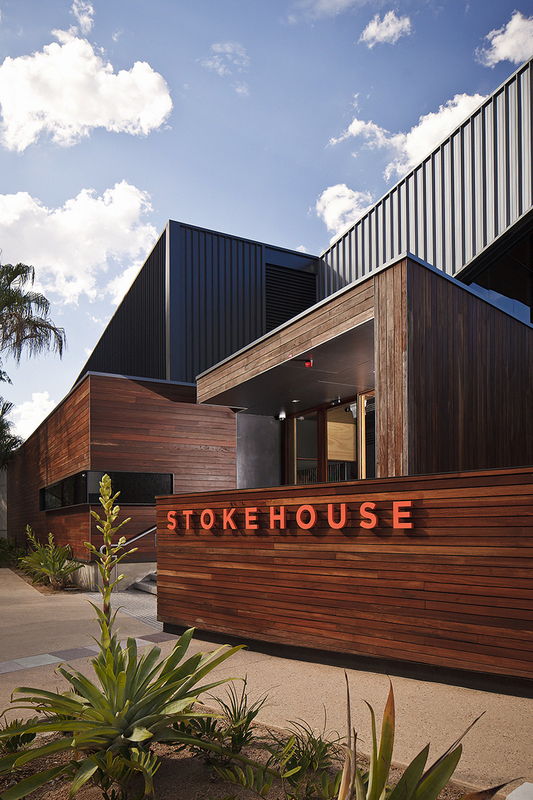 TUL Note: Today's List Love post is proudly sponsored by Stokehouse and endorsed by The Urban List. Our sponsored posts will never be a secret - the List Love seal will be stamped on any sponsored material you see on the site. Thank you for supporting the sponsors who make The Urban List possible.